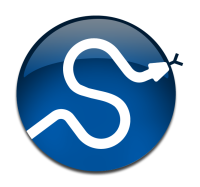 pilutil A collection of image utilities using the Python Imaging Library (PIL). comb(N, k[, exact]) The number of combinations of N things taken k at a time. derivative(func, x0[, dx, n, args, order]) Find the n-th derivative of a function at point x0. imread(name[, flatten]) Read an image file from a filename. imsave(name, arr) Save an array to an image file. Print the Numpy arrays in the given dictionary. If there is no dictionary passed in or vardict is None then returns Numpy arrays in the globals() dictionary (all Numpy arrays in the namespace). A dictionary possibly containing ndarrays. Default is globals(). Prints out the name, shape, bytes and type of all of the ndarrays present in vardict. Input object. This can be any object (function, class, module, ...). Get help information for a function, class, or module. Input object or name to get information about. If object is a numpy object, its docstring is given. If it is a string, available modules are searched for matching objects. If None, information about info itself is returned. File like object that the output is written to, default is stdout. The object has to be opened in ‘w’ or ‘a’ mode. Start search at this level. When used interactively with an object, np.info(obj) is equivalent to help(obj) on the Python prompt or obj? on the IPython prompt. Evaluate the polynomial p at x. When using a string for object it is possible to get multiple results. Return a copy of a PIL image as a numpy array. If true, convert the output to grey-scale. The different colour bands/channels are stored in the third dimension, such that a grey-image is MxN, an RGB-image MxNx3 and an RGBA-image MxNx4. Takes a numpy array and returns a PIL image. The mode of the PIL image depends on the array shape, the pal keyword, and the mode keyword. array holds the channel data. by default or ‘YCbCr’ if selected. The numpy array must be either 2 dimensional or 3 dimensional. Save an array to an image file. Read an image file from a filename. The file name to be read. If True, flattens the color layers into a single gray-scale layer. The array obtained by reading image. The image is flattened by calling convert(‘F’) on the resulting image object. Byte scales an array (image). Bias scaling of small values, Default is data.min(). Bias scaling of large values, Default is data.max(). Scale max value to high. Scale min value to low. Rotate an image counter-clockwise by angle degrees. Input array of image to be rotated. The rotated array of image. tuple - Size of the output image. Simple showing of an image through an external viewer. Uses the image viewer specified by the environment variable SCIPY_PIL_IMAGE_VIEWER, or if that is not defined then see, to view a temporary file generated from array data. Array of image data to show. Simple filtering of an image. The array of Image in which the filter is to be applied. The filter that has to be applied. Legal values are: ‘blur’, ‘contour’, ‘detail’, ‘edge_enhance’, ‘edge_enhance_more’, ‘emboss’, ‘find_edges’, ‘smooth’, ‘smooth_more’, ‘sharpen’. The array with filter applied. Unknown filter type. . If the filter you are trying to apply is unsupported. The factorial function, n! = special.gamma(n+1). If exact is 0, then floating point precision is used, otherwise exact long integer is computed. Array argument accepted only for exact=0 case. If n<0, the return value is 0. Calculate n!. Arrays are only supported with exact set to False. If n < 0, the return value is 0. The result can be approximated rapidly using the gamma-formula above. If exact is set to True, calculate the answer exactly using integer arithmetic. Default is False. Factorial of n, as an integer or a float depending on exact. Calculate multifactorial. Arrays are only supported with exact set to False. If n < 0, the return value is 0. If exact is set to True, calculate the answer exactly using integer arithmetic. The number of combinations of N things taken k at a time. This is often expressed as “N choose k”. The total number of combinations. Array arguments accepted only for exact=0 case. If k > N, N < 0, or k < 0, then a 0 is returned. Return weights for an Np-point central derivative of order ndiv assuming equally-spaced function points. Find the n-th derivative of a function at point x0. Given a function, use a central difference formula with spacing dx to compute the n-th derivative at x0. The point at which nth derivative is found. Order of the derivative. Default is 1. Number of points to use, must be odd. Decreasing the step size too small can result in round-off error. 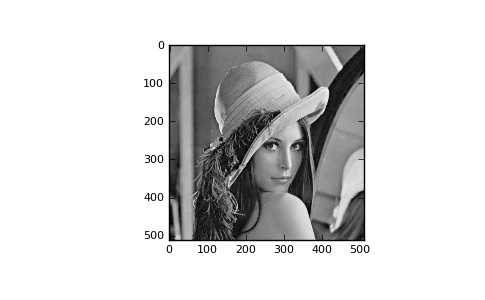 Given Taylor series coefficients in an, return a Pade approximation to the function as the ratio of two polynomials p / q where the order of q is m.
Get classic image processing example image, Lena, at 8-bit grayscale bit-depth, 512 x 512 size.